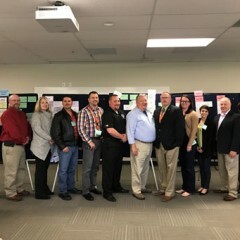 On April 26 and 27 the National Institute of Corrections (NIC) and the Department of Energy (DOE) convened a joint workgroup at the National Corrections Academy in Aurora, CO. The purpose of the workgroup was to see how both federal agencies could better serve the corrections community on matters of sustainability. Participants in the workgroup were leaders in the sustainability movement in corrections and represented IN, CA, OR, VA, OH VA and jails in Memphis, Lafayette, LA, and Marion County, KY. The Federal Bureau of Prisons was also represented. 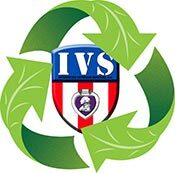 Establish a resource center/data repository for sustainability at the NIC Information Center. This center would include a green forum similar to other such NIC initiatives and a repository for data on sustainability provided by the field. Expanded emphasis on accreditation standards with more rigorous requirements. Work with ACA conference host committees and similar regional conferences to include a visit to an institution with strong sustainability programs on any institution tours that might be included as part of their conferences. Make technical assistance (TA) available through NIC and DOE that would expand the knowledge about sustainability programs around the country and fund travel to observe these programs on site. TA to develop an assessment guide to help facilities understand their current sustainability practices and how they might be improved to save energy, water, better manage their waste stream etc. While all of these topics will require additional work in the coming months the very fact this meeting took place and a comprehensive list of very attainable goals came out of it ensures the growth of sustainability in corrections will continue. Watch this space going forward about progress on each of these topics and to read the full report. 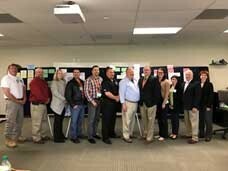 Participants in the workgroup pictured left (left to right) include Keviin Orme, IN, Bailey Waits, Memphis, Deborah Hysen, CA, Colby Barbier, Lafayette, LA, Chad Naugle, OR, Charlie Hein, FBOP, Tommy Norris, GreenPrisons, Tony Stines, NIC, Lois Fegan, VA, Leah Morgan, Barry Brady, Marion County KY, Alice Dasek, DOE . In a national press release on August 20 GreenPrisons announced the establishment of a fund to support training and technical assistance provided by GreenPrisons, as well as scholarships to cover registration, and travel costs related to attending the National Symposium on Sustainability in Corrections each year.